When you go out to eat, the first thing you get at your table is something to drink. Maybe you start with a water and choose a drink later that goes well with whatever New Mexican food you decide to order, or you know exactly what you want to drink and you order it right away. However you do things, one thing is for sure: beer and Mexican food are like birds in a tree — it’s just a natural combination. But what type of beer? Well, it does depend on what type of food you’re eating. So the next time you make a trip to Tortilla Flats, decide what you’re going to order first and then ask your wait staff for a recommendation, or follow some of these helpful tips. If you order up a plate of shrimp fajitas or something else filled with bright flavors and a touch of lime or cilantro, keep your beer choice in the same flavor profile. You don’t want to overpower your seafood with a dark or heavy beer. Go with a Pacifico, Corona, or Tecates. However, if your dish is on the spicier side, you do want some power behind your beer, so try a Belgian Wheat or an American Pale Ale. A popular meat in New Mexican food is tender and delicious pork. The fat in the meat gives any dish a savory flavor that needs a full, robust beer to stand up to the taste. 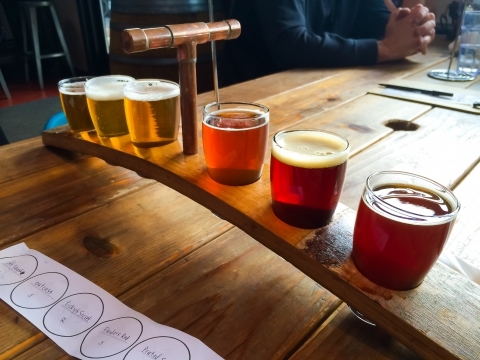 Pork, in particular, can also have a caramelized flavor to it, so select a beer that’s on the same level. The perfect pairing is a brown ale beer with a malty flavor that matches the aroma of the warm flour tortilla that your pork is nestled into. When you visit a New Mexican food restaurant, there will be no shortage of spice, so it’s the perfect place to order up a cold and refreshing pilsner or a pale ale. What you want to avoid when it comes to pairing beer to spicy food is a high IBU (International Bitterness Unit), a lot of carbonation, and high alcohol content. Beers with these characteristics could actually intensify the spice in the dish, and often in an unpleasant way. Another ingredient that’s hard to avoid in Mexican food is cheese and creamy sauces. So if you order up chile rellenos or a smothered burrito, you’ll want to go straight for an IPA. Even if you’re hesitant about a bitter beer, you might be pleasantly surprised by how well these two flavors taste together. With the citrusy hop, combined with the fresh cilantro, tomato, and cheese, the beer can help cut through the rich layers of the meal. Order a Negra Modelo. This dark beer has a front malt taste and a sweet finish that pairs with pork, mole chicken, fish, any other tomato-based dishes. You can’t go wrong with this classic Mexican beer. 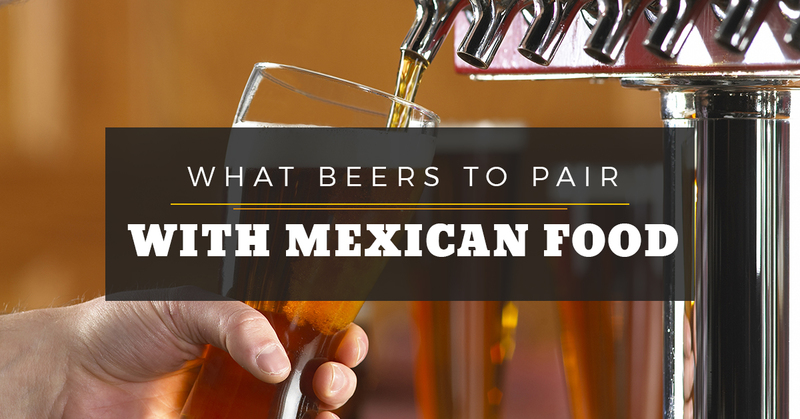 When you need great New Mexican food and an equally great beer to go with your meal, you now have some helpful tips to ensure you have a completely satisfying dinner. At Tortilla Flats, whether you’re drinking beer, wine, or Coke, we always want you to have a meal to remember. Visit us tonight in Santa Fe.